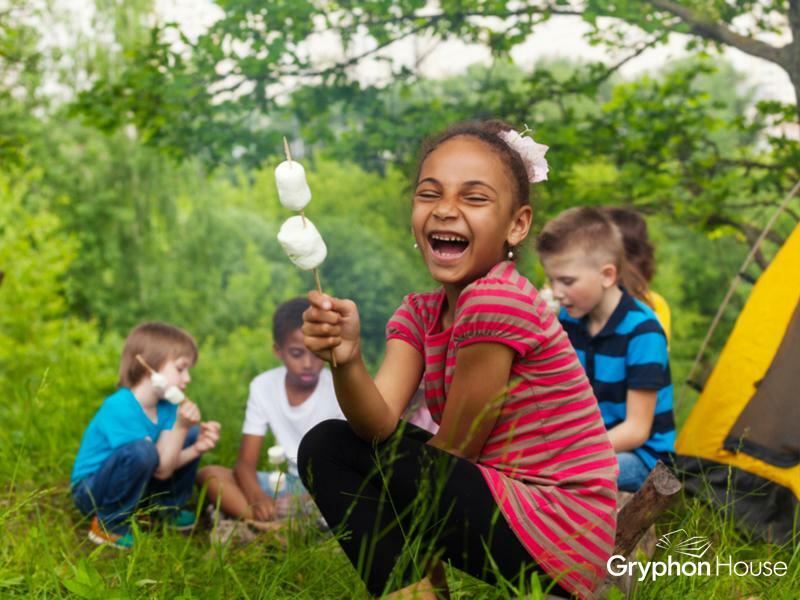 Children can still learn and have fun in the great outdoors, especially on camping trips! You can incorporate many activities into your family camping trip to provide little ones with a successful, fun, and educational camping experience. 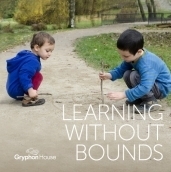 Learning Is in Bloom: Cultivating Outdoor Explorations by Ruth Wilson provides forty nature-based, hands-on activities that promote all areas of early childhood education and development. All of the nature-based activities can be used when camping with children to ensure they are still learning, having fun, and being safe. Exploratory—Children explore the properties and functions of different materials, equipment, and objects. They explore the way certain materials are alike and different, how something works, and what they can do with different materials and objects. This type of play can include experimentation, trial and error, and cause-and-effect explorations. Dramatic—Children take on roles or pretend to be someone or something else that is familiar to them. They may pretend to be a person, such as a parent, gardener, or doctor; an animal, such as a dog, bird, snake, or horse; or a thing, such as a tree, machine, or door. This type of play can be played alone or with others. One of the special benefits to pretending to be an animal is the way it can help young children become more sensitive to the needs and characteristics of that animal. Fantasy—Children create costumes or props and use these as they engage in imaginative adventures. Fantasy play often includes taking on the role of an imagined character, such as a fairy, a monster, a superhero, or a wizard. Constructive—Children manipulate materials and objects to build things. 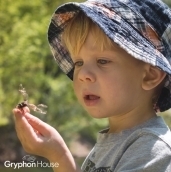 Constructive play is often exploratory in nature as children try out different materials and methods to see what they can make. With blocks, they build towers; with wet sand, they make castles; with sticks, they build shelters. Physical—Children engage in large-muscle movements, such as running, jumping, throwing, kicking, dancing, and climbing. At times, physical play involves combining movements, as when running while throwing or kicking a ball. Of course, the other types of play often involve physical activity as well. 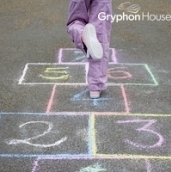 Games with rules—Children follow or create rules as they play. Games with rules include board games such as Candy Land and physically active games such as tag, hide and seek, and soccer. Children often set rules during dramatic play, as well. These rules involve barking like a dog if you’re a dog character and crying like a baby if you’re a baby character. Trash goes in the trash can. Things that can be recycled go in the recycling bin. Know where animals live and respect their homes. Be gentle with plants and animals. Use only as much as you need.